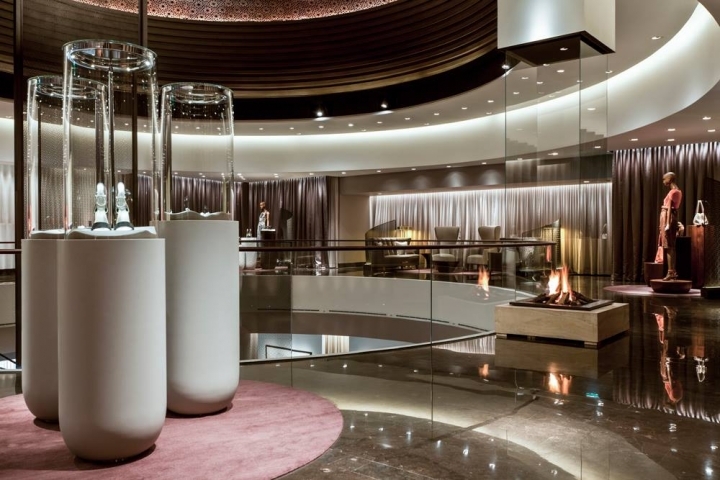 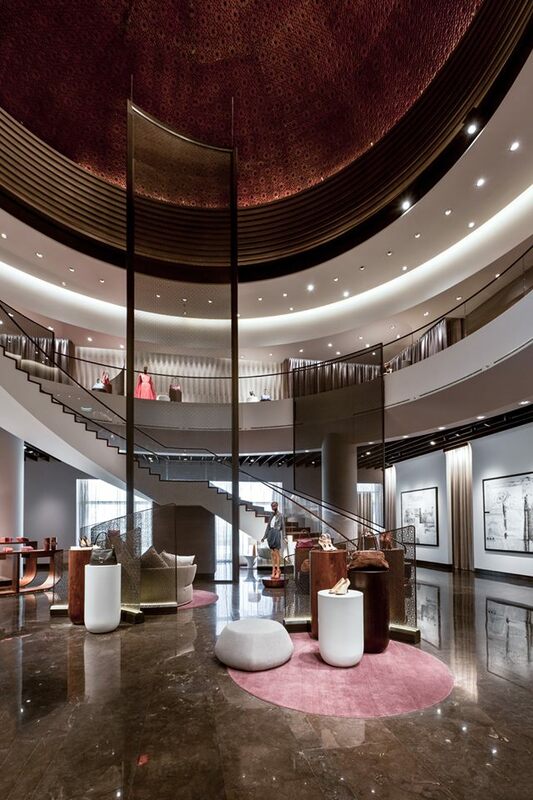 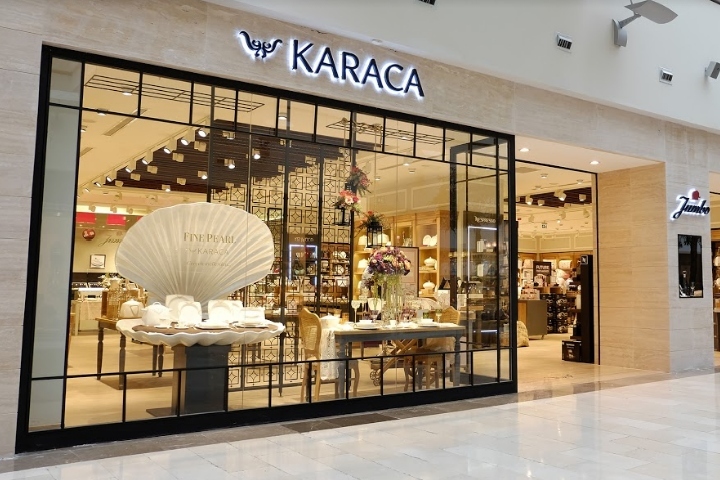 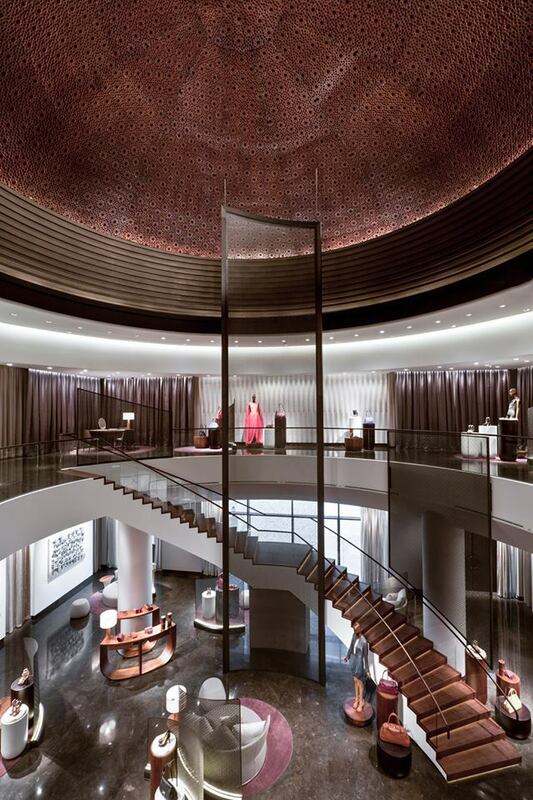 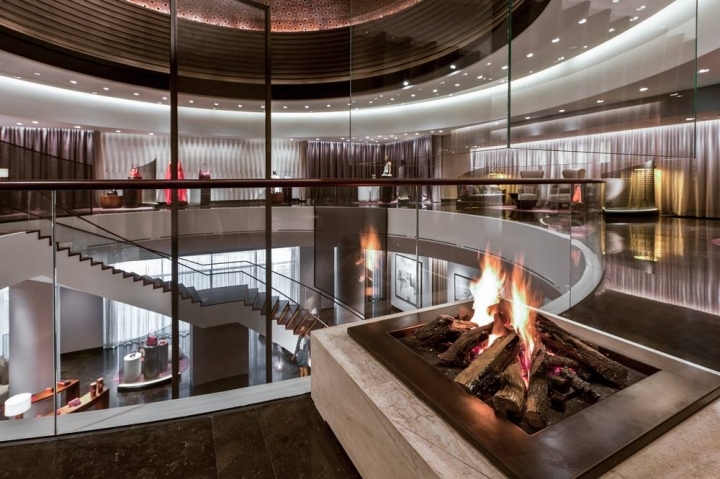 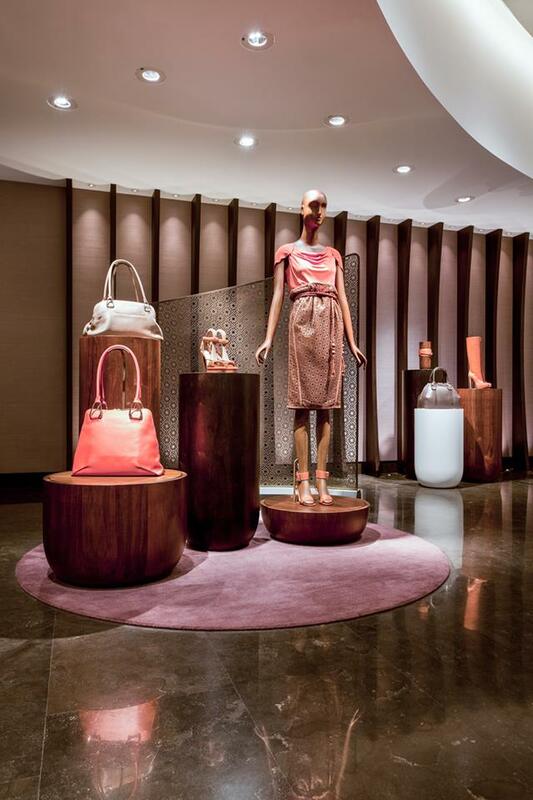 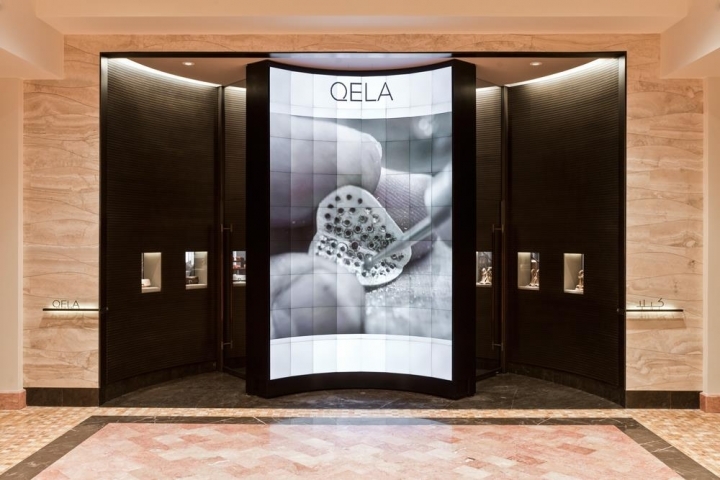 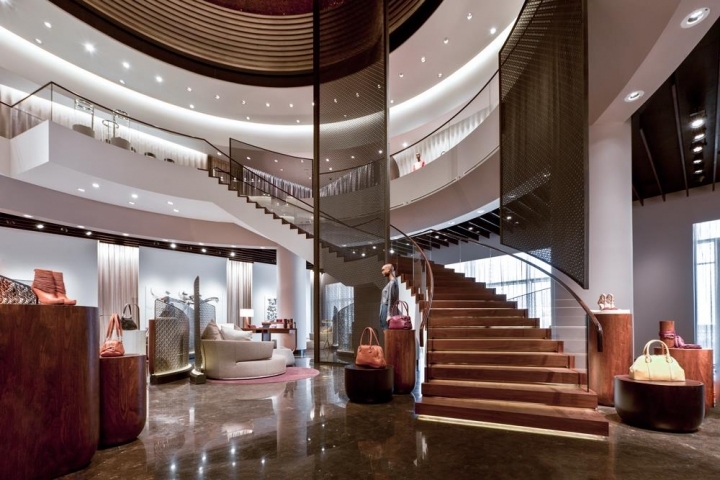 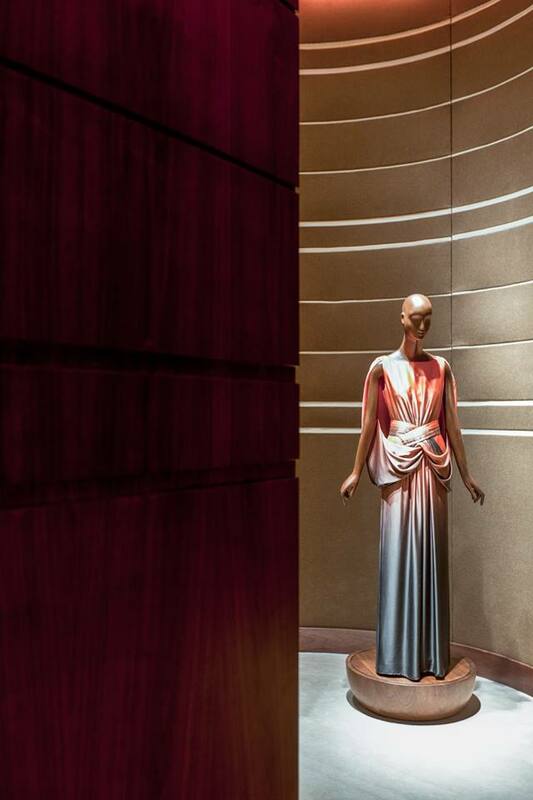 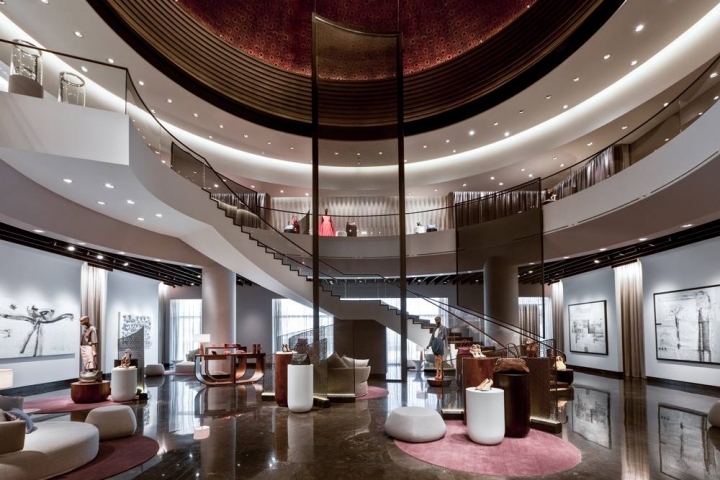 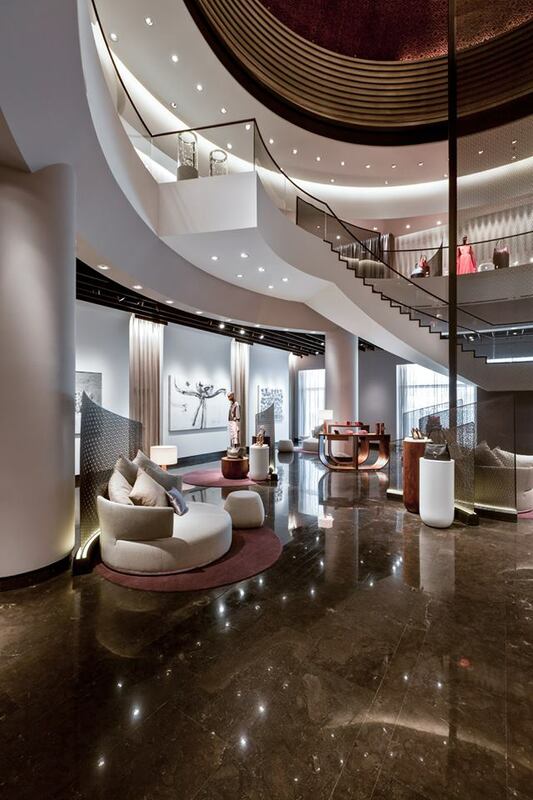 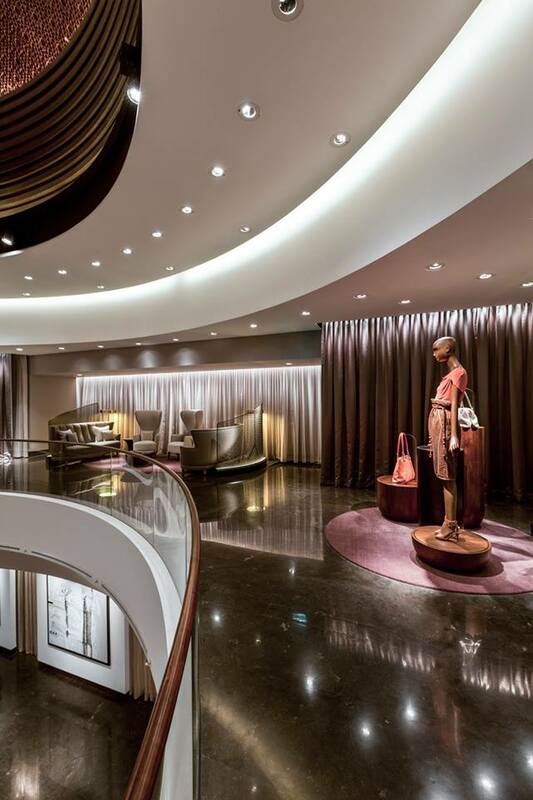 Qatar Luxury Group awarded UXUS the mission to develop a groundbreaking retail experience for its global luxury brand, Qela. 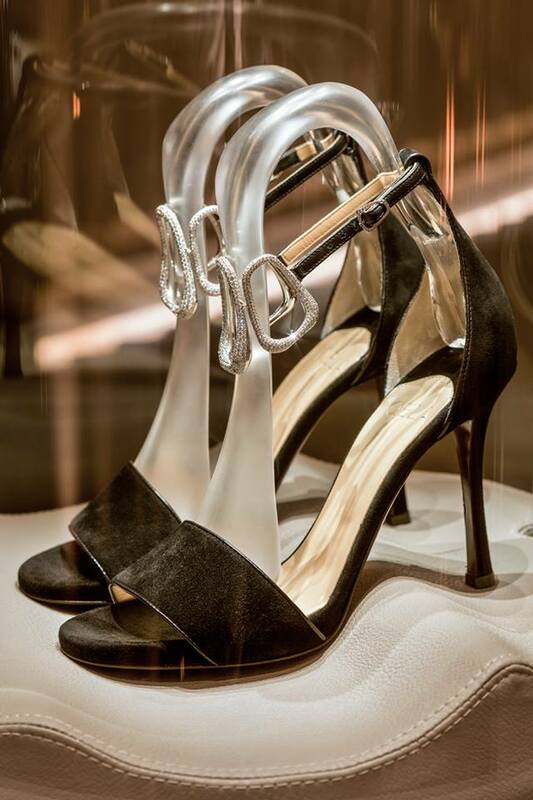 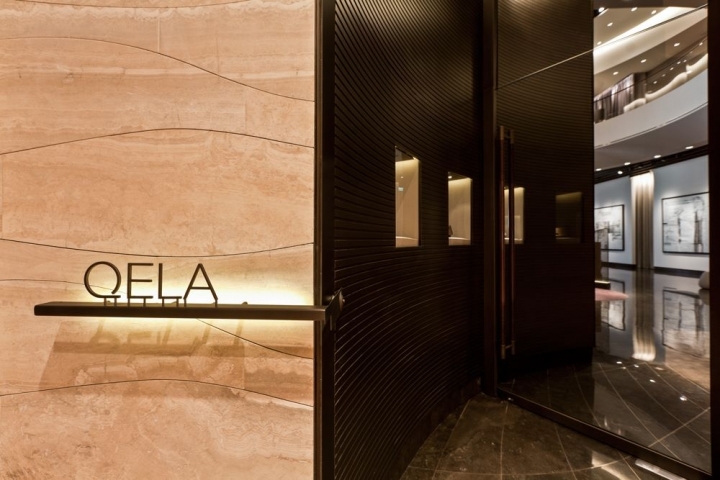 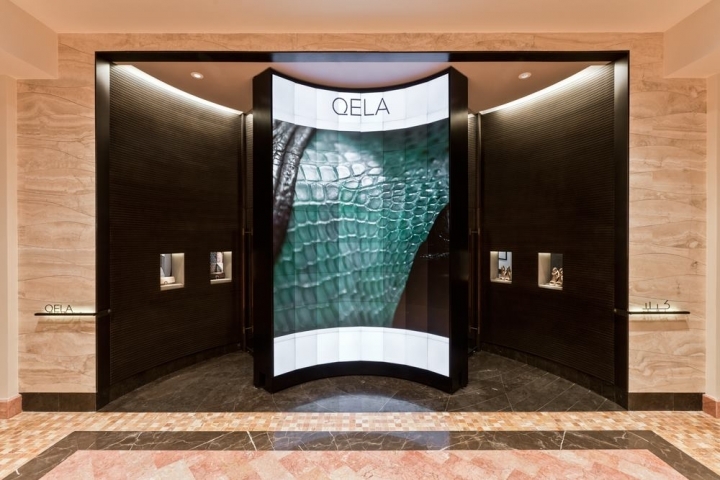 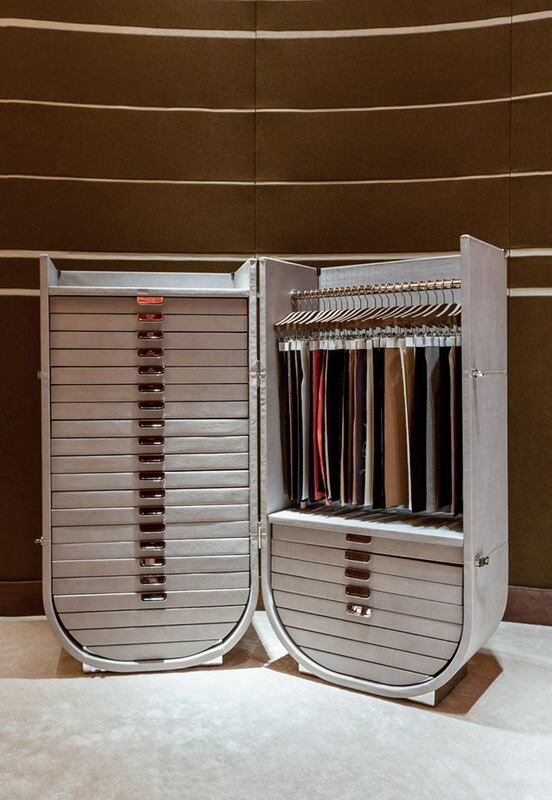 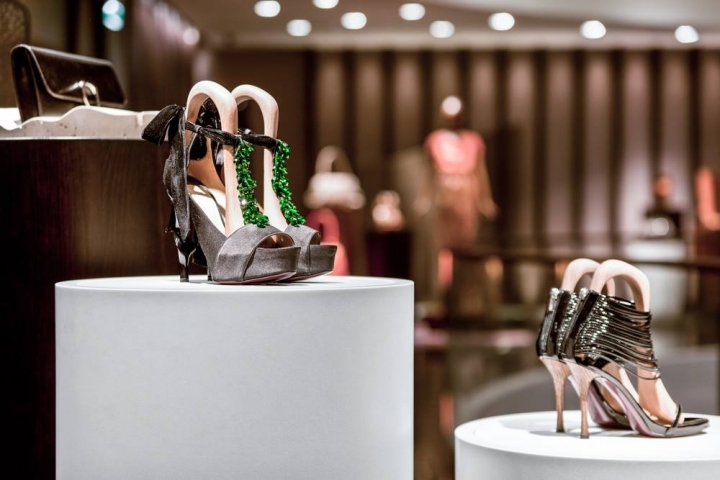 The Qela luxury collection will include leather goods, fine jewelry and women’s fashion, designed and crafted in Qatar to the highest standards. 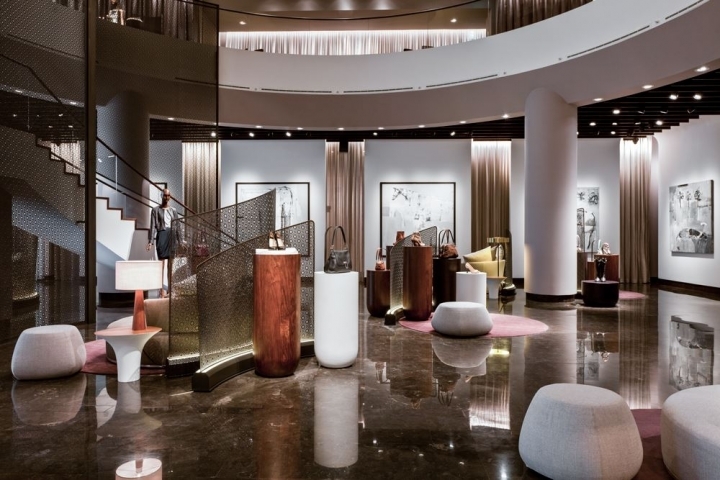 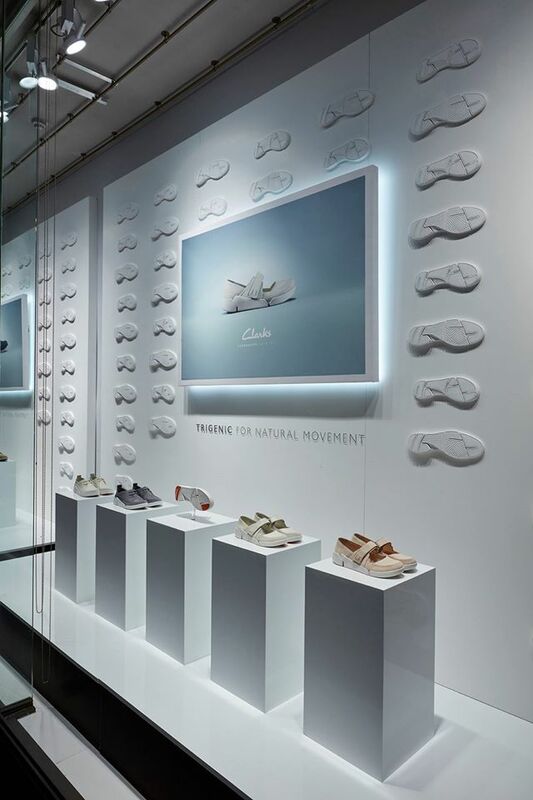 The new store strikes a delicate balance between the brand’s cultural heritage and its progressive spirit, immersing customers into the world of art, culture and design. 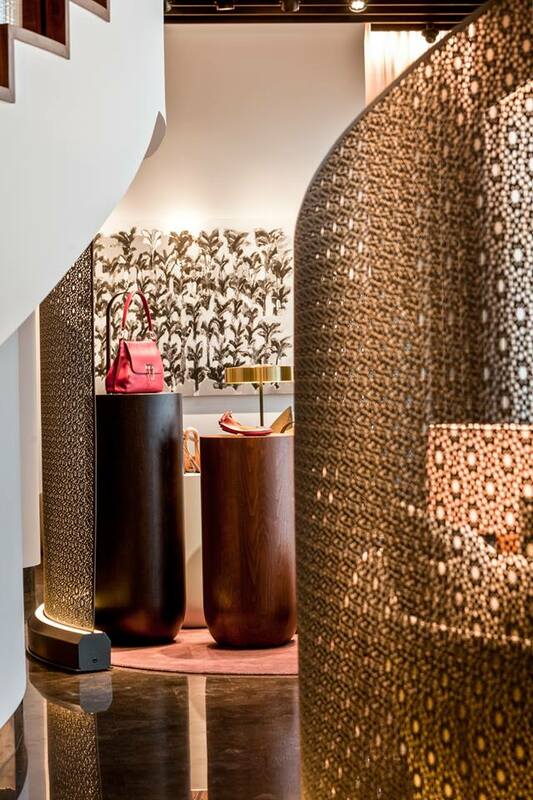 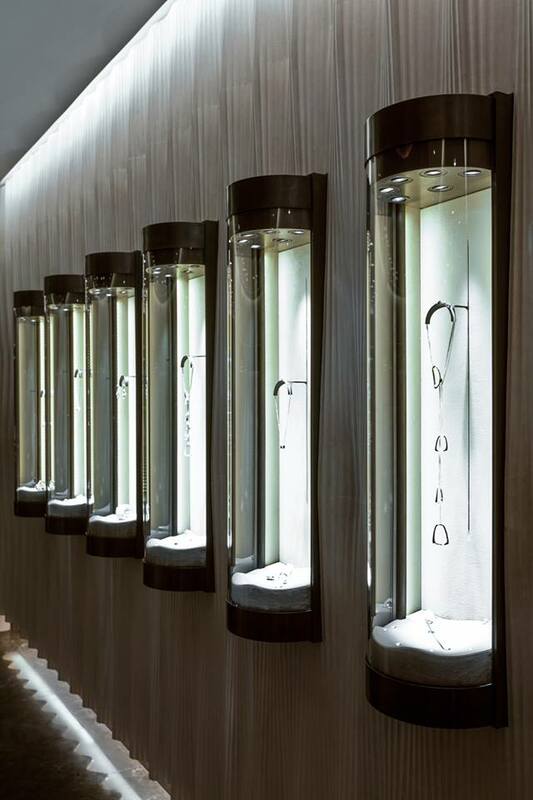 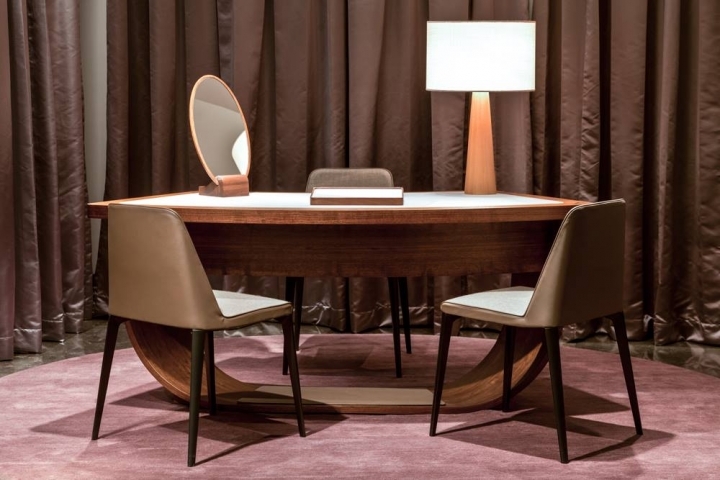 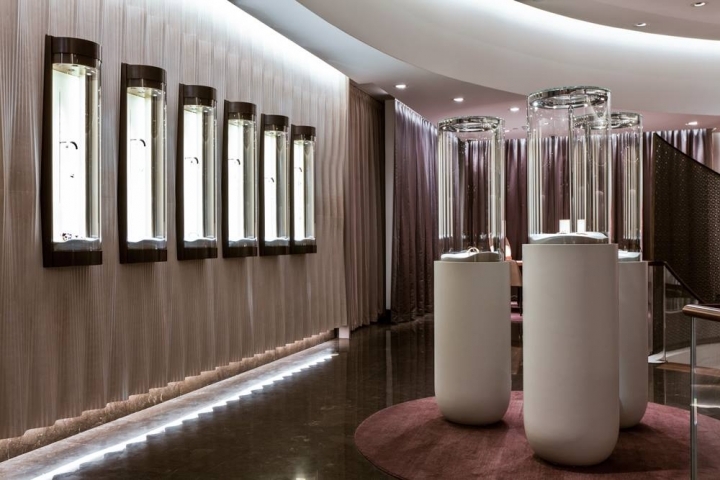 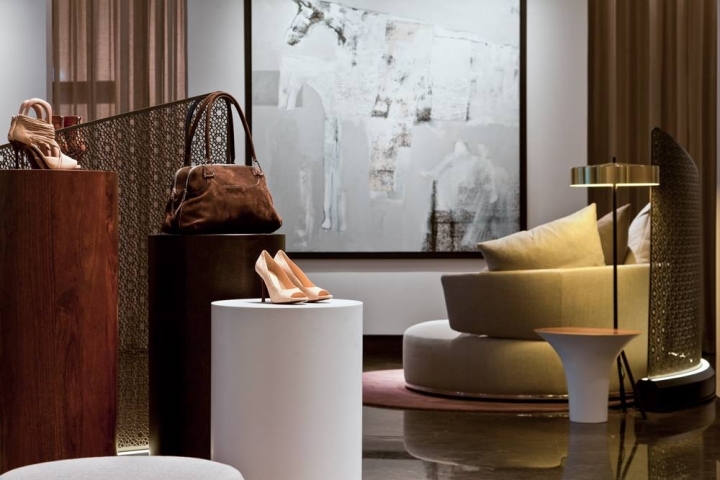 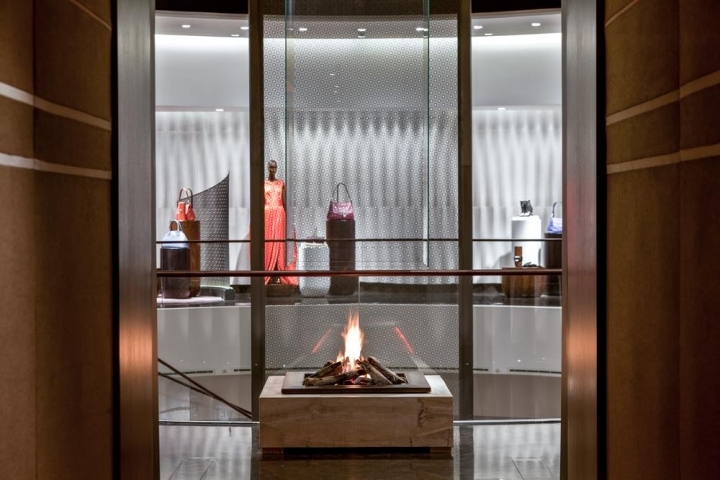 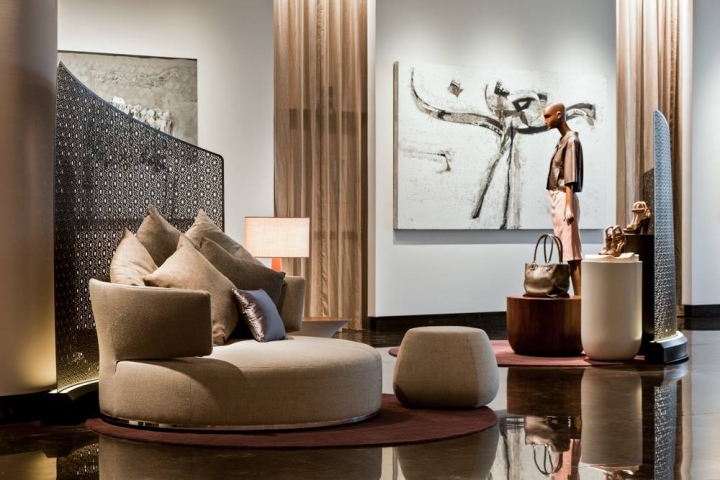 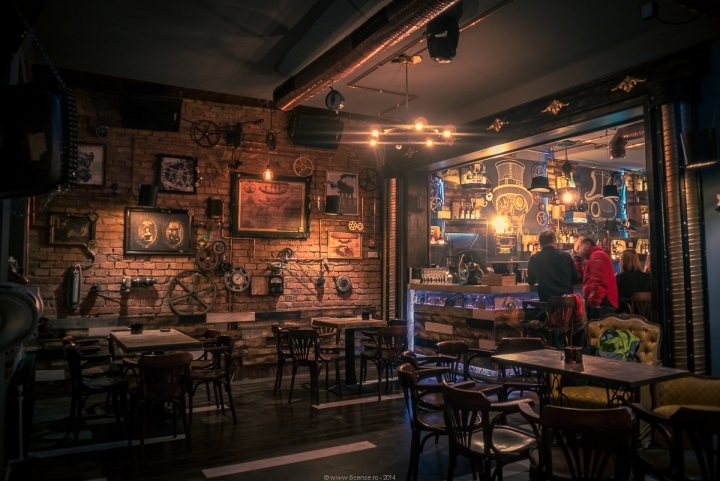 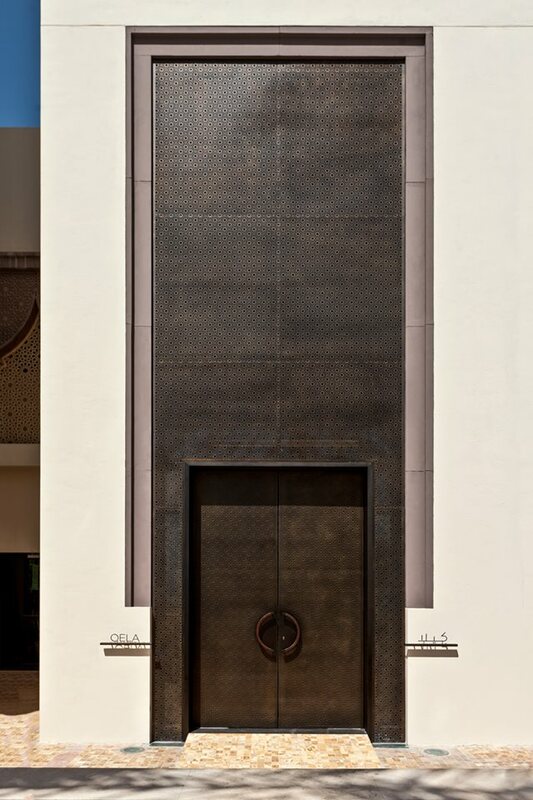 Following this concept, the boutique’s design blends the atmosphere of an intimate salon with the dynamism of a world-class art space: inviting clients to explore a continuously changing gallery of crafted luxury products and fine art. 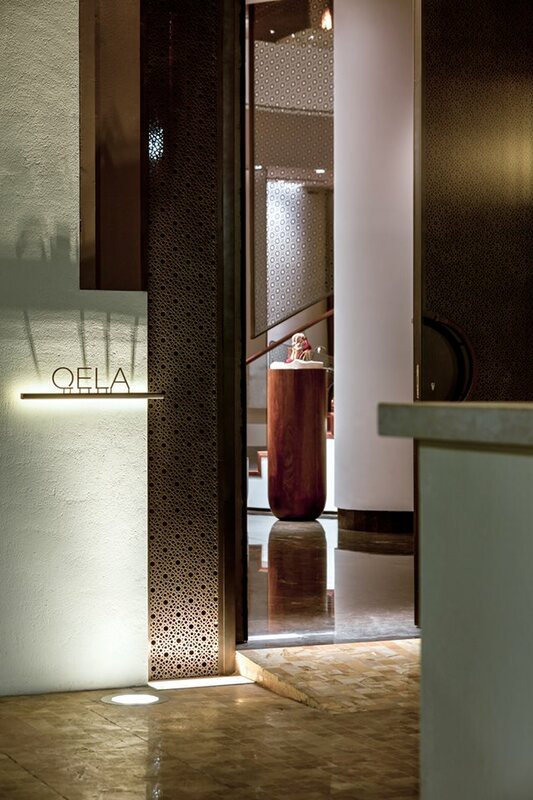 Aesthetically, the Qela experience has its roots in travel and embodies its native country’s quiet, pure and natural landscapes. 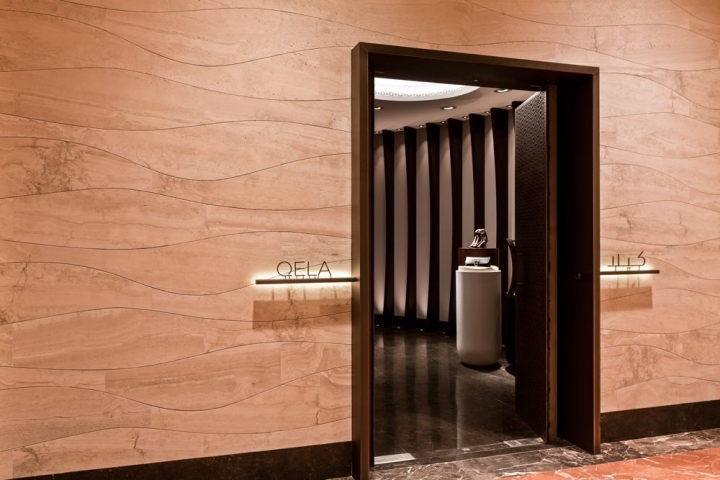 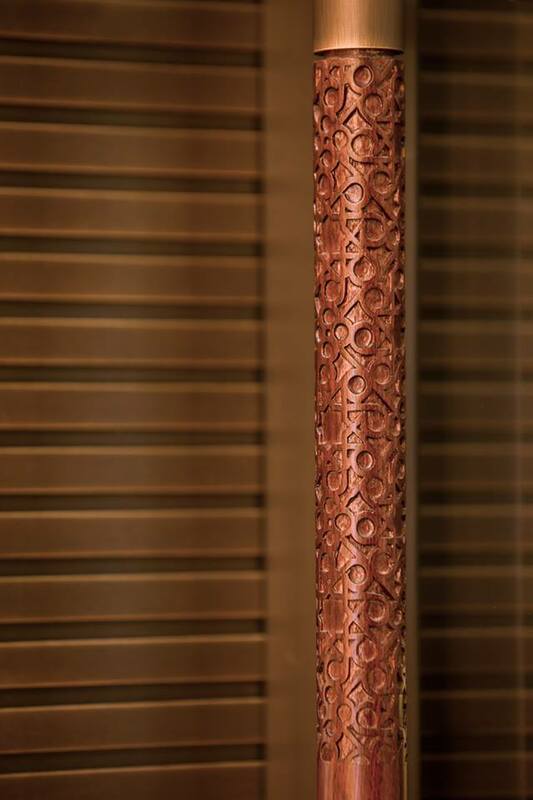 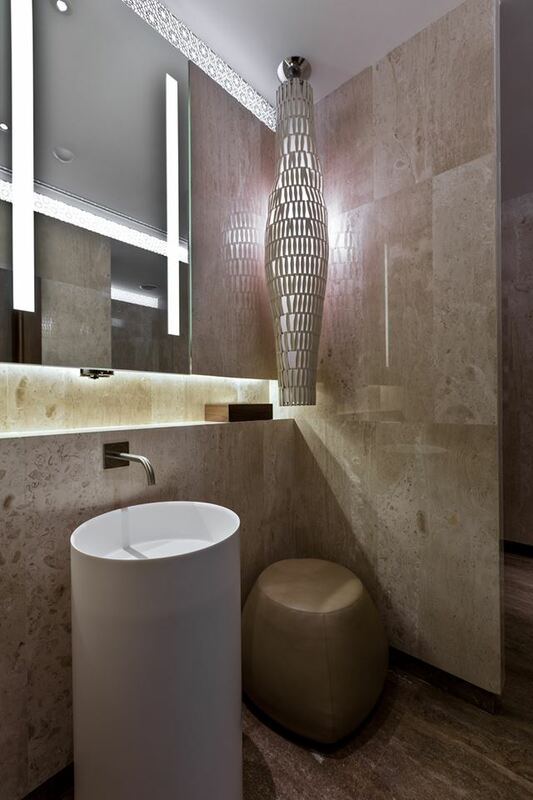 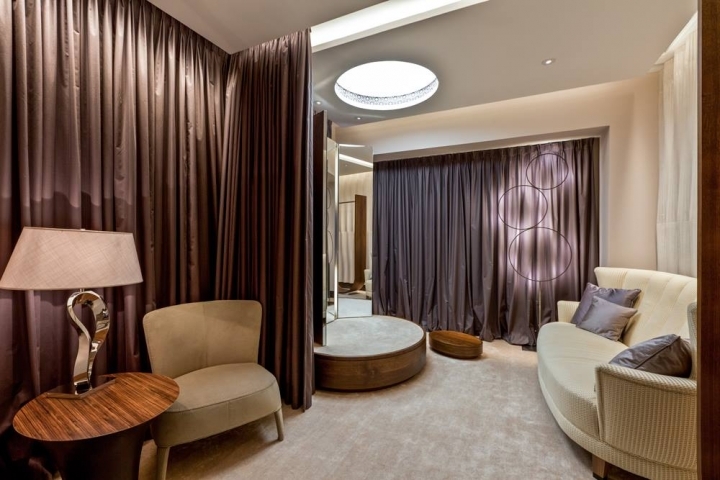 Undulating forms and flowing curves echo majestic Qatari vistas, punctuated with rich, luxurious materials and a palette of elegant desert tones to highlight the Qela collection.